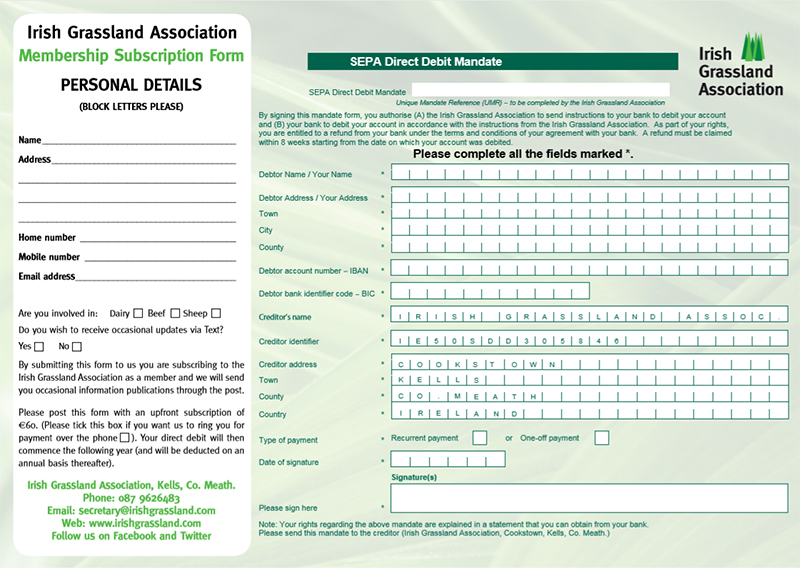 To become a member of the Irish Grassland Association you can download the membership form below and send back to us with annual membership of €60. Alternatively if you attend one of our events as a non-member you may have the opportunity to avail of a membership offer at the event. Check event ticket details for further information about occasional special membership offers. Click form to download.